Thank you. This helps. A little. Well, sometimes a little is a lot. Thanks Andy! Oh, and I remember the song. LOL!!! I was thinking most of my audience would but you never know! Well crap….I wrote out my whole comment and forgot to hit “post”. I do indeed have a funny part to share Beth. Remember in TFC, the chapter about Joscasta and Duncan’s wedding? Well, Jamie and Claire have just had an intimate interlude amongst the budding trees ( Jamie’s hand plays a big role in the scene ????). He is telling Claire Duncan’ s problem with impotence and pleads with Claire to share this news with Jocasta. Claire begrudgingly agrees and heads of to the house to break the news to the Bride-to-Be. As she walks off Jamie says… ” You might tell her Duncan still has the one good hand”. ???????????????????????? cracks me up every time I read it. Our Diana has a wicked sense of humor ???? Don’t you hate when that happens!!! Yes, I love that whole scene! Diana really does have a great sense of humor. Love reading her books. I catch myself laughing out loud and my husband looks at me like I’m crazy. LOL!!! He knows I am, of course! Love this, Beth! The humor is one of my favorite things about the books. Thanks for reminding us. It really is, Nancy! Diana is SO good at it. Thanks for reading! Some of my favorite lines are from Angus and Rupert. In the first episode of season 1, when Claire is starting to work on Jamie’s shoulder, she looks at Angus and tells him to fetch her several things…I absolutely love the look on his face and the tone he uses to reply, “fetch me she says”. Cracks me up every time! I also love the scene in the wedding episode when Rupert and Angus visit the blacksmith to get the ring made. I love when Rupert calls Angus a “great gob”. ???? Oh, Angus & Rupert were the perfect comic relief in Seasons 1 and 2. I loved their characters in the show. If you’ve read the books, you know the show took their characters and ran with them – made them way larger. And even though it wasn’t in the book, I loved it! Some changes the show has made – Murtagh, for another example – have been simply awesome and have added to the story so much! But, yes, I’m with you, love Rupert and Angus and miss them this season. 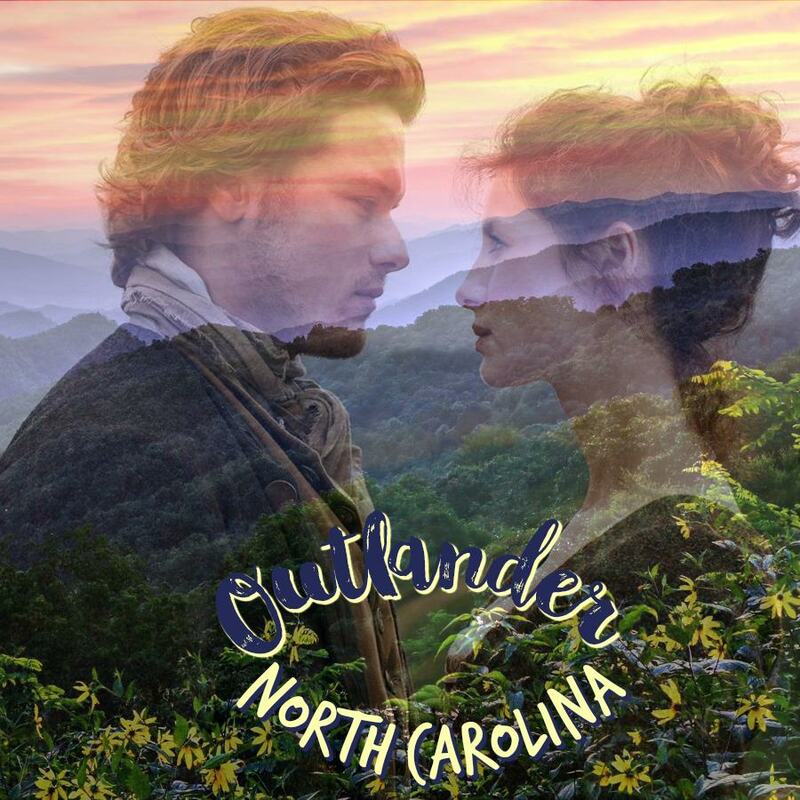 up, but I am new to Outlander….8 months. Started a weekend binge watch and couldna stop!!!! Love SH by the way! Welcome to the Outlander obsession, Christine! I discovered Outlander in early 2015. Got started and couldn’t stop. Books, show, everything. It’s an amazing story and I love the relationship Jamie & Claire have together. Yes, I love SH too. The perfect Jamie!!! Thank you, Anne Marie! And I’m glad I’m not the only one who remembers that song!!! I had a bathing suit with the words of that song printed on it. Have mercy. I know. I forget them too and when I start re-reading bits and pieces, I see the humor he has and his devotion to his faith. I loved the tv series, but the scenes most difficult to watch were Claires marriage to Frank- funny but during WW ll, she had purpose and strength and was respected. After travelling through the stones, even the men from that era treated her with respect. What a culture shock when even while delivering her child, she was talked down to by her doctor. Being a stay at home wife was stiffling for her. And the Deans comments about her actually reading a newspaper and having an opinion and Frank standing there allowing it to happen. Jamie would never have allowed that. Frank never truly understood her and she had to wall off a big part of who she was. Then she had to face predudice at medical school. How unhappy she must have been. No wonder she loved Jamie, because he could look into her soul and all her faults, both good and bad and accept her for her true self without any pretence. Nor was he threatened by her strength. He truly admired her. To open oneself emotionally and sexually without any fear or reservations is a wonderous thing. Perhaps we all hope we have a little of Claire in ourselves and hope to find a rare man like Jamie. Love your thoughtful insight, Pat! Agree with you on every level. Thank you for commenting! https://www.pronouncehippo.com/annekje/ Go to this website and it tells you how to pronnounce the name correctly. Go to this website: https://www.pronouncehippo.com/annekje/ and it shows you how to pronounce the name.